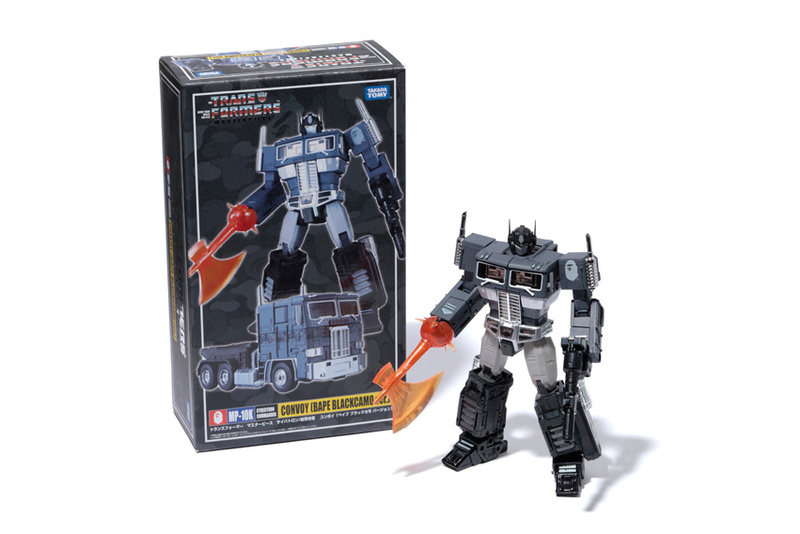 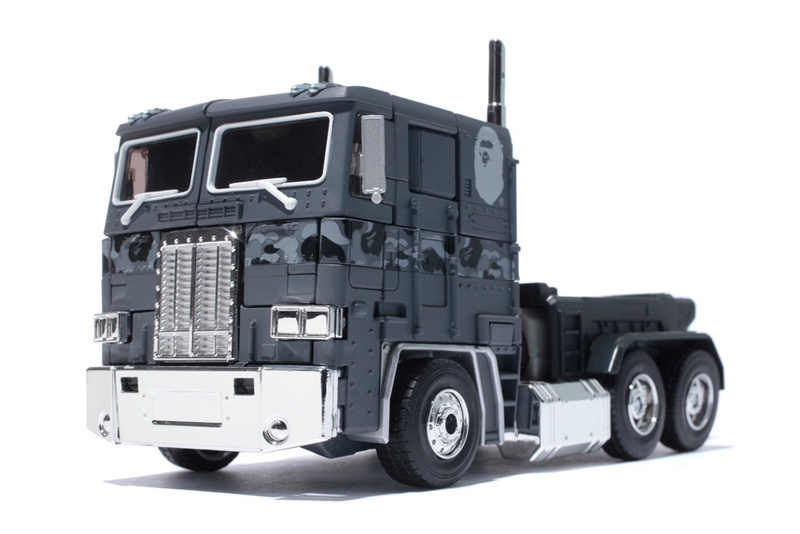 Bape and the Transformers franchise link once again for a limited release of the MP Convoy featuring a black camo theme. 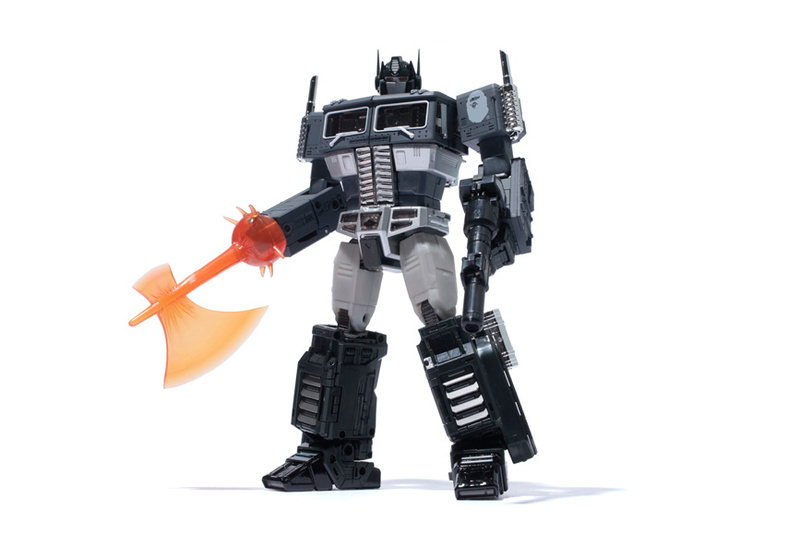 The new collab offers the face of the autobots in a black camo look, featuring Optimus’ ion blaster and axe. 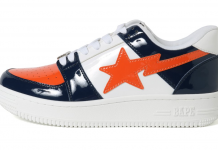 Bape branding can be seen throughout the figurine, as well as on the shoulders. 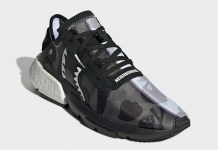 Those interested can cop these for $150 USD but there’s a catch – you’ll have to cop via raffle. 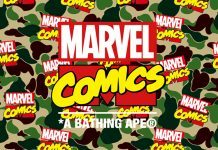 The draw will be taking place at BAPE stores in Harajuku and Shibuya, including Bape Kids and Bapexclusive AOYAMA on January 2nd at 9:30 AM.